This week, we are returning to a topic we wanted to explore before our sabbatical. For the next few weeks, we are going to explore Good News and what it means that Jesus came for the whole world. This week specifically we are going to explore that the death and resurrection we have celebrated through Lent and Easter brings us freedom from darkness and death. The word Gospel is another familiar word we skip over sometimes as well. It comes from the Greek word we get words like “evangelical” and “evangelism” from. It literally means: Good news. But it is a loaded word. A political word. Rome preached the good news it came to bring with its kingdom. “Do things like us and your life will be better. We know this because if you don’t, we will kill you.” But Jesus hijacks this word. Jesus brings a new kingdom which truly is Good News for everyone. Why is it good news? How is the kingdom Jesus brings different from the Kingdom Rome violently enforced? 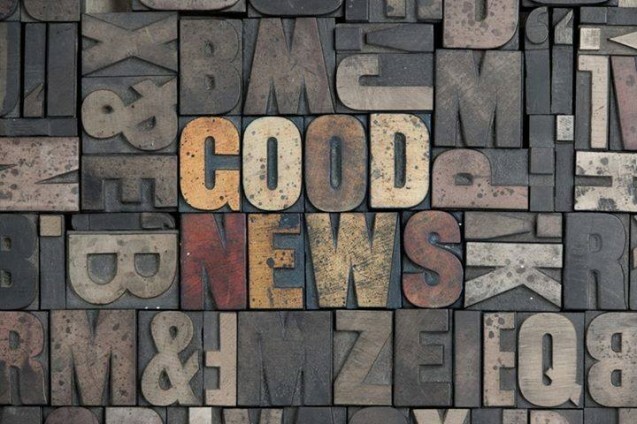 What does Good News mean for me in my life, my work, my marriage, my parenting, my schooling, my community, my church, and the larger world – which often feels like it is at the brink of destruction? What does Good News look like when it really is for all and not just a chosen few? What difference does Jesus really make in the world? These are the questions we want to sit with and explore for the next few weeks. And they are important questions because our idea of Good News has been cheapened. What we consider to be Good News is often ineffectual in real life, and what we consider “evangelism” is not really spreading the Good News Jesus comes to inaugurate. If I am honest, I had given up on the entire idea of evangelism. I didn’t like the word or the ways we often put it into practice as Christians. As I thought about it, I found my issues were not actually with evangelism per se, but what I equate with evangelism. The attempts for what people often consider evangelism depress me. Billboards which ask questions about your eternal destination, what you believe about the authority of Scripture, and creation versus evolution. Or perhaps you run a secular business. You can put Scripture verses on your billboards or add them to something someone has purchased from you. You might even leave a book or a Bible lying around where someone is likely to pick it up. My kids love to go watch dancing Christmas lights. Every single one we went to announced “Jesus is the reason for the season” at least five times while we sat and watched. Other times evangelism is taking a very public stand about who you are against and what people deserve judgment. Or you can go back to some older versions of evangelism where you door knock or strike up a conversation to ask people if they have accepted Jesus. What are we hoping to accomplish here? It seems to me, at best, we are hoping to change someone’s mind about believing in Jesus. We are arguing a case for why belief in Jesus and “accepting him” is reasonable and should be done. But if we don’t succeed in doing this, how are these gestures received? What affect are they having? Is this really what we mean by Good News? Is this why God became human? Is this why Jesus died? Are billboards and bumper stickers what the Resurrection empowers us to do? If we really want to “evangelize” we have to ask better questions about what Jesus came to do in the world. We need to think much deeper about what Good News Jesus brings, and how this Good News matters in the world we find ourselves. An example of this has recently led me to re-think how I conceive of evangelism. It speaks to what happens when you slow down and ask better questions about Good News. Love him or hate him, Rob Bell had a show on Oprah’s network last week. Leading up to the show, he did interviews with several Christian people but also was on shows like Pete Holmes and Access Hollywood. He is even offering an E-Course through Oprah’s website. So that is what he talks about to an audience which is largely non-Christian. I have seen people really get on him about being a Christian, but he answers gracefully – mostly with the answer that Jesus came for EVERYONE. So Rob goes on all these shows and talks about what hope, grace, reconciliation, forgiveness, meaning, purpose, and wholeness means for real life people. He finds ways to take the questions most people are asking and bring Jesus’ message into them. He doesn’t shy away from being a Christian, but he does talk about Jesus being for all people. On his show, he read from Colossians and talked about the cross and offered a benediction. But he can do it because he is bringing the Gospel to real people. What I love about what Rob is doing, is what I see just underneath the surface. Rob has asked what real people need and are searching for. He has also spent a lot of time very thoughtfully deciding what the Gospel means to him. And he is now connecting the two in front of a very wide and public audience. Rob certainly isn’t the answer to all things Good News, but what he is doing creates some needed questions about what it means to bring Good News. Where are we bringing good news? What do we think the Gospel means? Where do we see the need for Good News? How does Jesus speak to those areas? These may seem like obvious questions to ask, but be honest: When was the last time you asked them? When was the last time you gave serious thought and reflection to what the Gospel means and how you partner with God in spreading the good news of Jesus? We spend so much time in Bible classes and on blogs finding new information about God, but how often do we get down to the real message of why Christ matters and can make a difference in our world and our lives? These are tough questions and not the kinds of questions we should rush through. So we want to slow down a bit, and spend a few weeks devoting our attention to Good News. We hope you will join us and share your reflections on Good News as well.